Oriental rugs are prized possessions, often being comprised of delicate threadwork and dyes that have endured many years of use in homes and businesses. This is why it’s essential for owners to demonstrate an appreciation of their rug’s weaving artistry by selecting highly trained professionals to complete a regular cleaning. Doing so not only rejuvenates the carpet to its former splendor, but may reveal intricacies in the weaves that have dulled over time. As experts in the Oriental rug market, we feel it’s important to first have an evaluation performed on your piece in order to determine its antiquity and what areas need the most attention. Because we employ only the most skilled specialists in our cleaning process, you can be certain we will identify the most delicate portions of your rug, and recommend cleaning products and services best suited for its restoration. Ahdoot takes great pride in addressing every Oriental rug cleaning on an individual basis, rather than having a blanketed approach to serving our clients. Following the inspection, your rug is then cleansed of debris that has accumulated in the fibers since its last cleaning, undergoing a thorough industrial vacuuming procedure. Through this, the threads are lifted slightly to reveal compacted areas in the rug that may contain pockets of dust, pet dander or soiling. Afterward, your rug is then pre-treated with a specialized cleaning agent, further removing any degrees of discoloration or darkening of dyes due to staining. This is followed by a meticulous shampooing process, utilizing shampoos designed specifically for Oriental rugs and the natural dyes they commonly contain. The pre-treatment and shampoo compounds are next lifted from your rug by extraction, utilizing modern equipment and methods to remove contaminants and blemishes. After its cleaning, your rug is rinsed of all residues, receiving a second inspection to ensure the noted areas of concern have been eliminated. At this point of our Oriental rug cleaning process, your rug will have been carefully reconditioned, each thread exhibiting its former luster and inherent patina. The process concludes with a temperature-controlled drying in our state-of-the art facility, ensuring no moisture is present in the rug upon pickup or delivery. This can be the most crucial step in the cleaning practice, as moisture may attract additional soiling after being reinstalled in your home or business. Oriental rug owners are often surprised by the amount of wear to colors and designs that occur during use, unaware of the true beauty lying beneath the intricate weaves of their ornamental piece. Having your rug regularly cleaned not only restores its magnificence, but increases its lifespan as well. In addition, we are devoted to the well-being of your family and home environment, offering the option to have your Oriental rug cleaned by our experts using only organic, 100% biodegradable and non-toxic cleaning products. This is ideal for those with small children, pets or those sensitive to standard cleaning solutions. 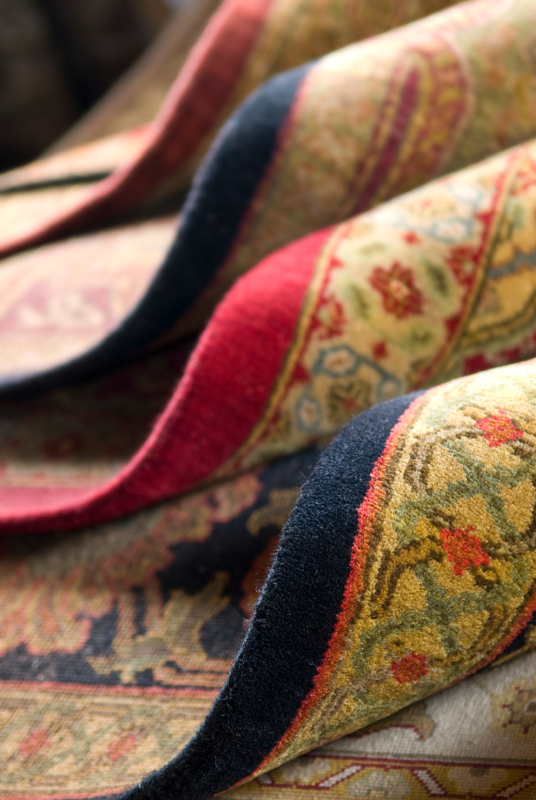 Oriental and Persian Rugs: What’s the Difference?